Likely on the wheel where you had the bad chamber? So after sitting 10 hours to get my tractor brake chamber replaced, I had to swap my load this morning. 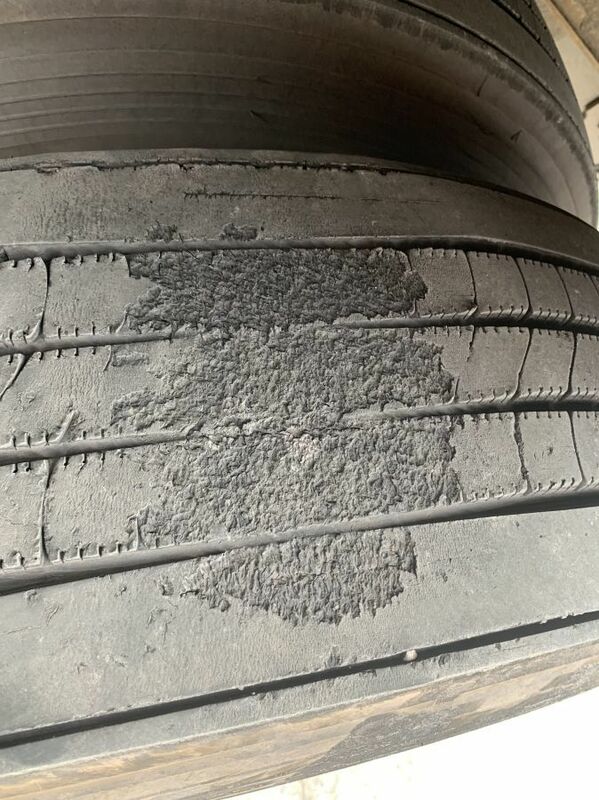 Got hooked to new load, the other driver comes back said we have a problem. 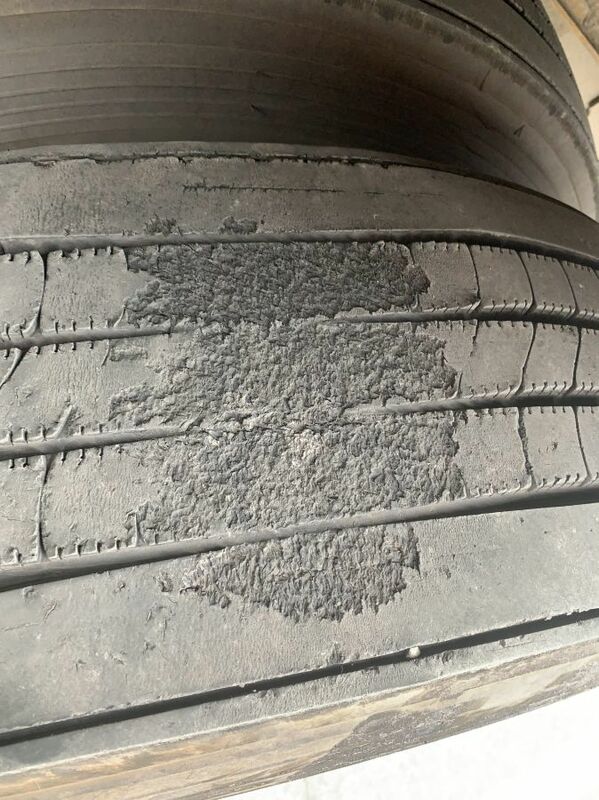 I had 2 flat spots on my tires. I’ve had the trailer 2 days, so 2 pre and 2 post trips. Had not pretrip per today as so had just woken up. 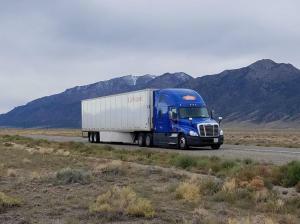 Truck brake chamber should not affect trailer brakes, correct? I was barely able to maintain enough air to keep the buzzers off, but they are separate systems, correct? I had no hard braking, nothing I can think of except a stuck tandem pin but that was maybe a foot or two at most of dragging. I can’t for the life of me figure out how one set of tandems got a flat spot, but the other 6 are fine, and without me noticing anything like a locked up brake or something. That is exactly what safety told me to do. On duty and violate to get to a safe haven. We are not allowed to sleep on the side of the road in any case. I was on the side of the road for over 10 hours. Ended up with negative 8 hours drive time by the time I finally got to the nearest parking, a truck stop. I had reserved a spot earlier in the day, and when I got here somebody had parked across from it so close I couldn’t get in. The famous “made their own spot”. Manager came out and woke him up and made him move so I could back in. 20016? Is this a back to the future truck? 7:45 and counting. Glad I am hourly! I’m talking SERIOUSLY old people. I’ve seen people driving them that probably shouldn’t be driving a car. Well I've been here for 2 days now. They wanted my inverter fixed and get a front end alignment done. Any Swifties with a CPAP machine? Do you shut your engine off when you use your CPAP? I was doing that but my DM has been all over me for excessive use of idling. So I tried not idling last night and my inverter went into error mode for not having the engine running. But they said that something was wrong with the battery or alternator. Both checked out good. Now they want the shop to rewire where it is wired to (ignition switch) to directly to the battery. I know that with an APU this problem isn't a problem. But Swift does ot have APU'S. It could just be my DM. He said I am idling at 62%. Which is the highest in his board. The mechanics at the shop aren't too happy about changing it over. They said it is supposed to be used with engine running to keep battery, alternator and inverter running at optimum. But fuel consumption is what he is getting at. So anyone have any thoughts? This also screws up my next 2 preplans. I drove home Monday in light to medium wind. Had to have my tandems forward because I had 36k in the box but it is all in the front half of the trailer. Paper rolls they loaded differently for some reason. I saw a guy with s flag hanging down over the passenger side of his windshield. Some type of sports team, or possibly a flag denoting ethnicity (is., Polish, German, etc. ), not sure. Congrats to Splitter on one full year!!!! I ran over a shopping cart once in a GMC Envoy. A car in front of me swerved left, and there was a shopping cart RIGHT THERE! I couldn't swerve, so I hit it. Weirdly, I had no damage except a small scratch on the hood, which is weird, since I went over the cart. Mine quit working twice the other night. Woke up suffocating, with an alarm sounding. 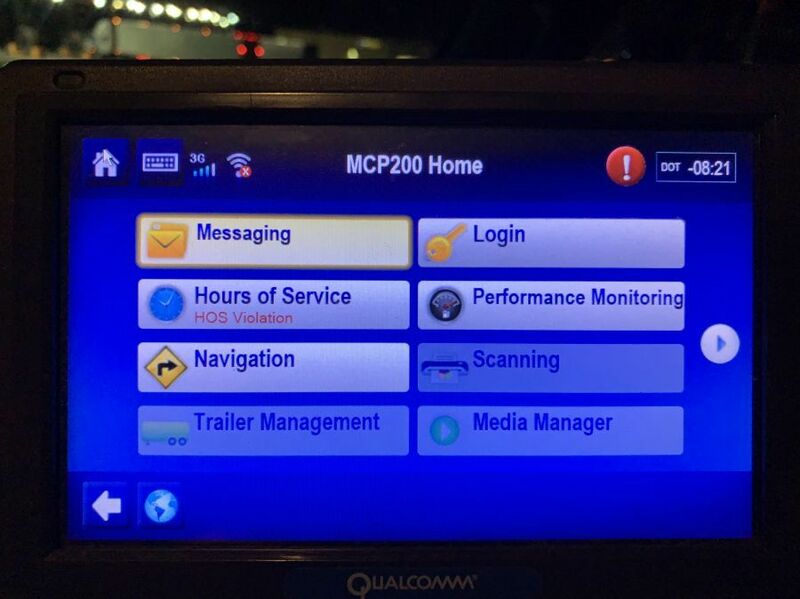 The lady told me today that means it was off..
FMCSA clarifies personal conveyance - "even if laden"
Wolding will under certain circumstances, and limits how often and how far you can go. I don't remember the limits right now, but it is discouraged. I can barely find time to eat, but I do have an iPad somewhere in my truck. My day is drive, eat, sleep, and repeat. I have no time or energy for anything else.